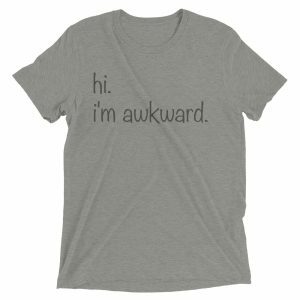 The perfect shirt for Valentine’s day, or any day you want to spread some love. This tri-blend shirt has a vintage, fitted look. It’s extremely durable and can withstand repeated washings. Say hello to your new favorite T-shirt!